Cross Stitch happens to be one of my favorite projects to work on. 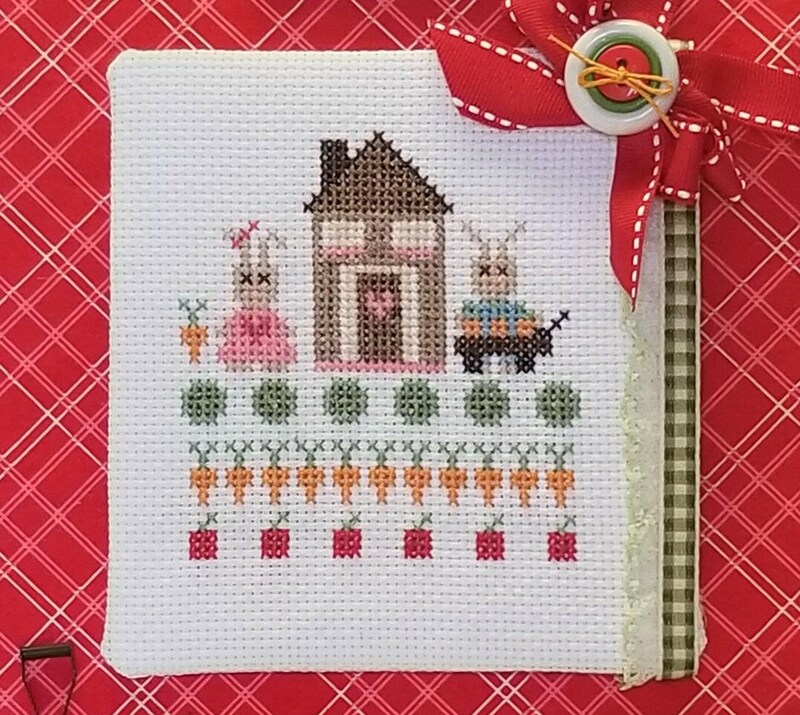 I love pairing up these little cross stitch bunnies with miniature gardening items. Brings the finished project together. 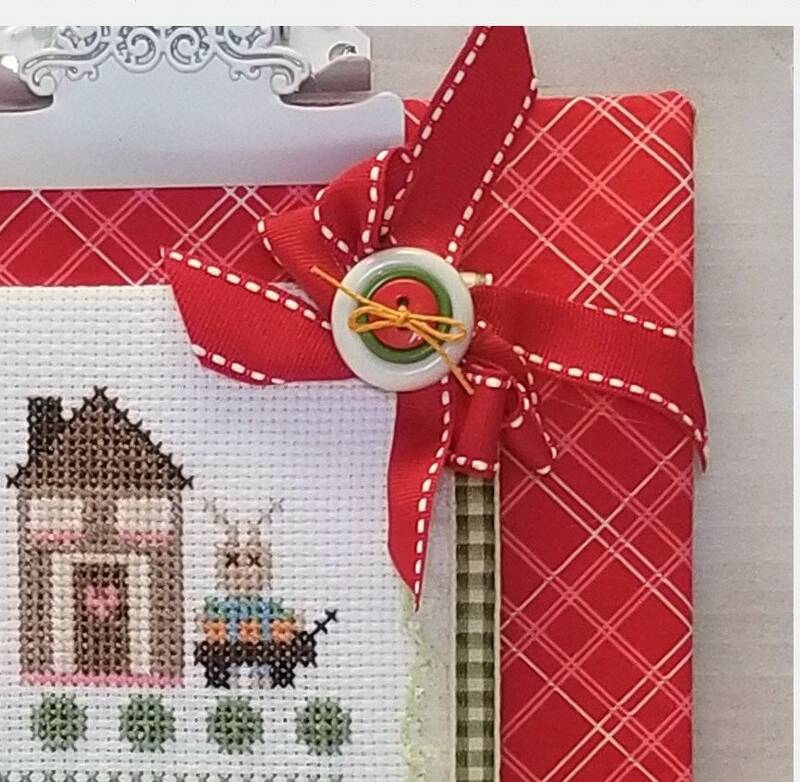 I love displaying cross stitch designs on the shelf with miniatures, so expect to see more ideas with these finished projects. The pattern is a digital download that you are able to access as soon as a transaction goes through. A link is provided, click on the link and the pattern opens up on the screen of your tablet, phone or computer. It can be saved, downloaded or printed out. Included in this pattern are directions for finishing off the design like it is shown in the picture. 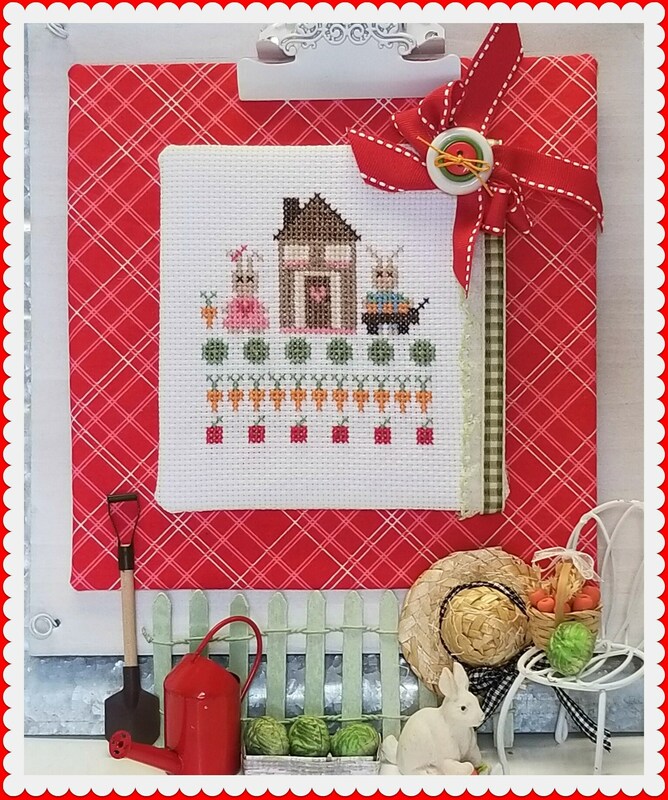 Pattern is 7 pages of directions, photos and directions for cross stitching and finishing it so it can be displayed. The bunnies are part of a big family - Emma Joy Bunny Doll pattern is also available in my shop. A simple pattern for making a Felt bunny doll with adorable clothes. 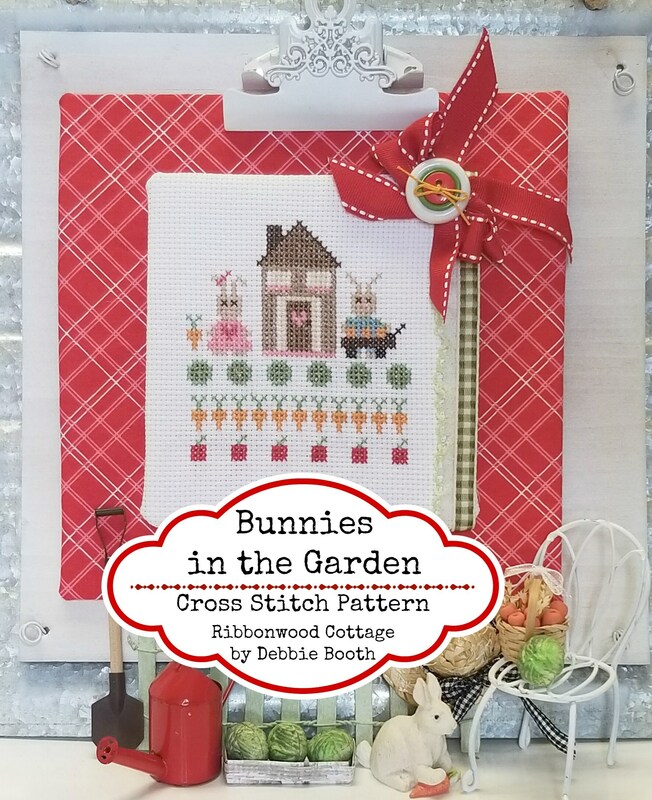 Be sure to see all the bunny patterns and items in my Etsy shop. Just type in Bunny in the search bar of my shop and you will understand what I mean! And you know the bunnies live at Ribbonwood Cottage.Big smile. The finished stitching design is approximately 5" x 5". Very simple pattern even for a beginner.